The head of this slicker flexes to conform to the special contours of your dog to gently remove tangles and loose hair from the legs, tail, head and other sensitive areas. Extra-long, stainless steel pins penetrate deep into the coat to remove loose undercoat. The soft pins are perfect for light jobs, while the firm pins work through mild mats. 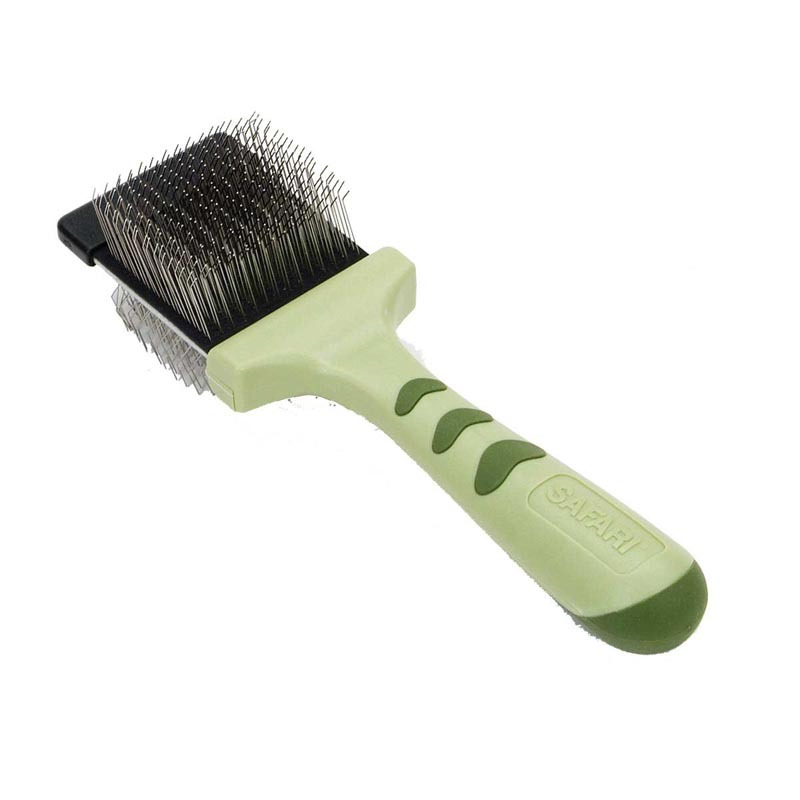 The non-slip grip makes grooming easy, and the ergonomic handle provides the ultimate in comfort when brushing your dog. Overall Length is 7.75 inches; Handle Length is 4.5 inches; Handle Width at widest is 1.5 inches; Functional Tool Length is 1.5 inches; Functional Tool Width at widest is 2 inches; Pin/Teeth Length is .5 inch if straight.